​Click h​ere to download the Leadership Raleigh application. A committee reviews all applications and selects individuals who represent a broad cross-section of the community. 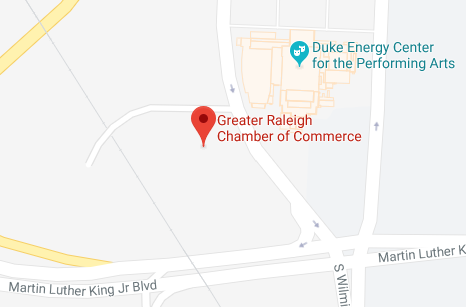 Company of applicant must be a member of the Greater Raleigh Chamber of Commerce. Applicant must be living in the Raleigh/Wake County area. Two classes will take place each year. Cost is $2,550 and includes all expenses for the retreat, monthly program sessions, and concluding report session. A limited number of partial scholarships are available. Applicants must show either potential for or demonstrated leadership abilities, community interest and involvement, and the desire to assume expanded leadership responsibility. Selection is based upon thoroughness of answers on a candidate's application. Only one candidate per company per class will be selected to participate each year. Financial Assistance: A limited amount of financial assistance is available for program participation. Candidates who need financial assistance are encouraged to request more information by contacting Jackie Huitt. Candidates who request financial assistance will be asked to submit an additional application to assess the level of need​. Financial assistance will be available through the John Freehafer Scholarship Fund. Currently, Leadership Raleigh has limited scholarship funding available for candidates who have a demonstrated need. With 110 participants each year, Leadership Raleigh's goal is to endow scholarship assistance for the program. The purpose of scholarship support is to foster diversity in the program with participation of individuals who are employed by institutions that may be unable to provide financial support. These organizations include nonprofits or small business professionals. To apply for the scholarship, submit this form with your Leadership Raleigh application.